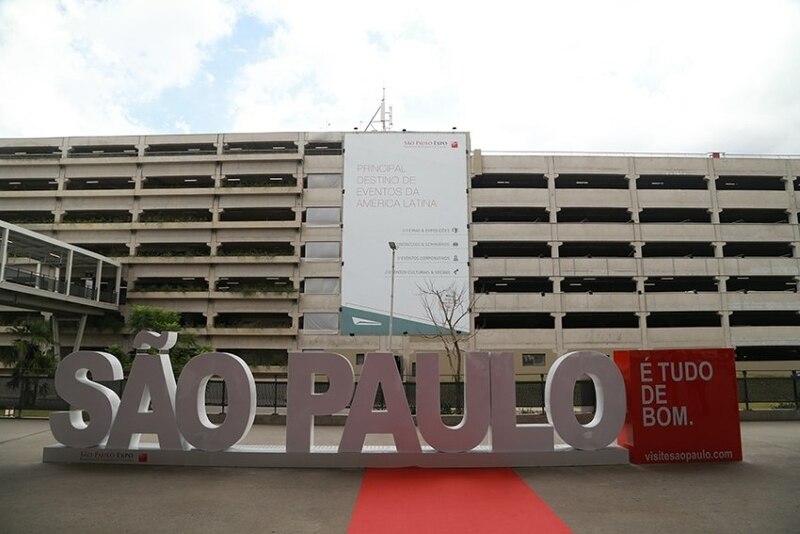 New tourist attraction at São Paulo Expo, in a joint initiative with Visite São Paulo. São Paulo has received a declaration of love in the shape of a symbolic sculpture. Set to become the metropole's newest icon, in the manner of the world-famous “Love”, of New York and “I YAmsterdam”, “São Paulo é tudo de bom” (Everything’s about São Paulo is good) is 10 meters long and 1.6 meters high and is installed at the São Paulo Expo, that stages the region's most important congresses, trade shows, cultural, social and sporting activities and entertainment. The result of a partnership between multinational company GL events, which manages the São Paulo Expo, and Visite São Paulo, the entity working to increase tourism by raising funding for events, the city's newest tourist attraction comes with a small staircase, in addition to special lighting that facilitates things for those interested in photographing it. As with others like it around the world, the work of art is likely to become the theme of thousands of creative images on the social networks. "It gives us enormous satisfaction to house this beautiful homage to São Paulo, and we will welcome all visitors who come here to see it", says Daniel Galante, Operations Director of the São Paulo Expo. "We are creating a welcoming movement involving the city's landmarks that receive hundreds of thousands of visitors and "paulistanos" (the city's inhabitants) every year. 'São Paulo é tudo de bom' is a campaign by Visite São Paulo that has already traversed several other phases, including a samba theme, celebrity commercials, a musical competition and other actions. The time has come to embrace the city even more and encourage this movement to multiply", points out Toni Sando, Executive President of Visite São Paulo.